Coach Bob Walsh of the University of Maine ran the Dynamic Leadership Academy this past Monday and Tuesday. Not too long ago I wrote about last summer’s Bob Walsh Dynamic Leadership Academy and how I was excited for this summer’s version. The 2015 version, which was this past Monday and Tuesday, June 8 and 9, certainly did not dissapoint. I’ve been combing through almost 15 pages of notes from earlier this week, trying to figure out the best way to share some of the best information. Coach Bob Walsh, who just finished his first season as the head man at Maine, did a tremendous job lining up fascinating speakers with applicable topics over the course of the two days. Coach Walsh spoke twice over the course of the two days, first about creating buy in with your team and then quickly on day two about “your next job.” Walsh shared how he and his had been trying to create buy in at the University of Maine and some of the tactics they were using. The program’s identity was very important for him, being able to define what you stand for and what your values are. One fascinating idea that Walsh shared, was recruiting walk-on type players, or surrounding yourself with kids who aren’t quite good enough. They have something to prove and they subscribe to your values as a necessity. When giving advice on finding your next job, Walsh suggested cultivating a “who list,” or a list of people that are valuable relationships or can help you make valuable relationships. Spending one hour a week, for example coming into work an hour early on Fridays to work on it, is something Walsh suggested. Phil O’Brien of the York Consulting Group delivered a very interesting presentation on turning performance,values and culture from theory to practice. He showed us how to sort players or employees into four different quadrants based on if they were high performers or low performers and high value or low value. These change management guidelines that O’Brien shared will be very helpful when assessing our team at Bard. NJIT head coach Jim Engles got some great news yesterday about his team’s move to the Atlantic Sun conference, but before that he shared with us his inspiring story of leading through adversity. 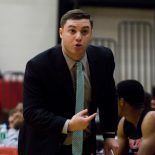 During his first seven years at NJIT, Engles had to endure being the only Division I school without a conference and enduring brutal seasons where just getting that first win was a challenge. Maine assistant Zak Boisvert provided the only Xs and Os part of the conference and shared some very interesting new ball screen trends that have permeated the NBA and will probably be hitting college basketball very soon. The conference ended with a pair of very engaging presenters on Tuesday. 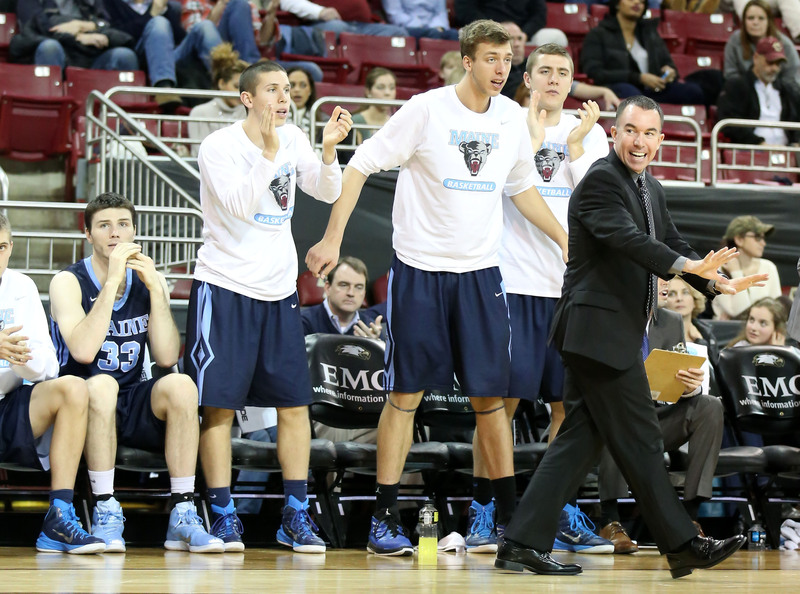 University of Rhode Island Athletic Director Thorr Bjorn made some excellent points about communication. I loved his point that your first answer should never be “no,” it should be “Let me see if there’s anyway to make that work.” And American Athletic Conference associate commissioner Dan Leibovitz shared some amazing advice and experience from his time as an assistant to John Chaney at Temple University and as a head coach at the University of Hartford. Needless to say, I took a ton from the 2015 Dynamic Leadership Academy and will bring a number of suggestions to Coach Turner at Bard and see if they are things we can implement to improve our team.